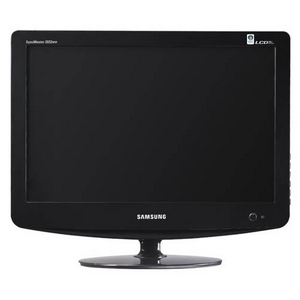 Samsung SyncMaster 2032MW 20" LCD TV | Product overview | What Hi-Fi? Welcome to a world of width in which pictures are displayed with rich clarity and deeper resonance. Express your own unique sense of identity and beauty with the beautifully unique style and form of the 2032MW TV from Samsung. Recognized at the 2007 if design awards for their outstanding contemporary design, this TV combine soft contours, clean cut lines, and a smooth surface into a premium, yet minimalist finish which gives you more space to express yourself.